As an authorized North American dealer for Luceplan, we can order any of their items directly through our San Francisco showroom and we can beat any price from an authorized dealer. Contact us for details at info@arttitud.com, or come by our showroom to see some Luceplan in action. 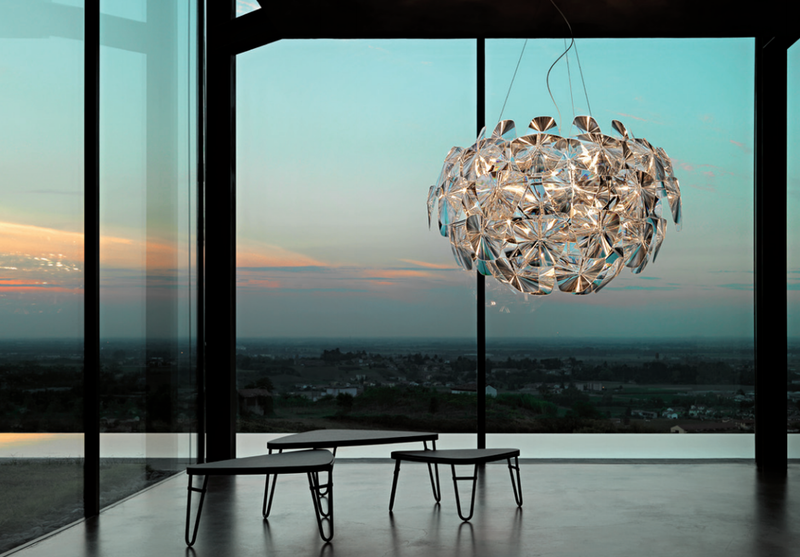 The collection's almost tailor-made approach finds its full expression in a series of communicating devices that are used to create an array of lights, giving rise to an endless assortment of compositional possibilities. Each device is quality certified. Furthermore, they can be integrated within different architectural systems to provide ad hoc solutions. Luceplan's contract division specializes in planning and lighting public spaces, such as hotels, offices, theatres, banks, shops, cruise ships... and works alongside architects and interior designers to finalize lighting projects, sharing the know-how it has gained over its many years of experience in the sector. The office is skilled at turning its technical competencies into precious contributions. These include its thorough knowledge of all issues connected to lighting quality as well as its complete familiarity with which lighting regulations are applicable in each context. In addition, the service provides, customized design solutions that have been specifically created to meet any project need.